Calendar Evenimente | Noiembrie 2018 | IasiFun - site-ul tau de timp liber! After 4 years in which we've been with you in Iași, as the most convenient trip to London you could take, for our birthday, we'll be here waiting for you just as you'd expect us to: with beer and music. They brought us together, kept us together and this is how we'll grow old together. 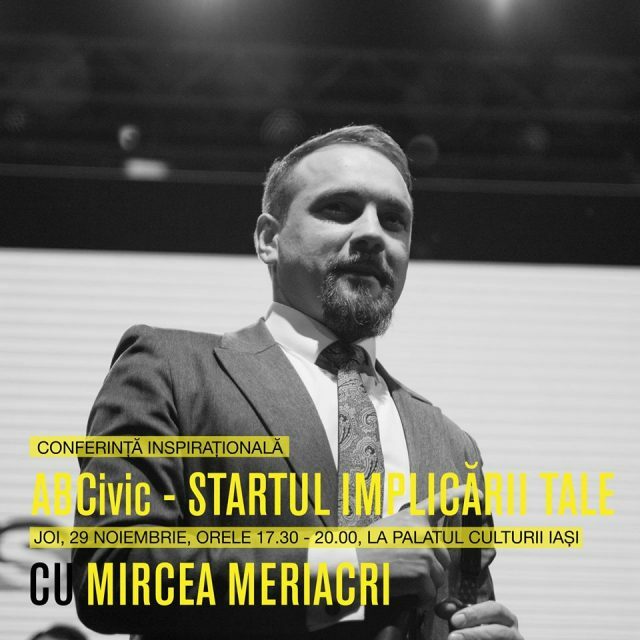 Ateneul din Iasi va invita marţi, 27 noiembrie, ora 19:00, in sala mare de spectacole la un eveniment muzical cu parfum aparte: Mircea Baniciu şi Jul Baldovin LIVE.